Space has undoubtedly been a fascinating part of reality for humanity. Ever since we were able to understand our surroundings, we’ve looked up at the stars in search for answers, inspiration, and constancy. Space has been the muse for hundreds of movies and thousands of books. It has inspired calendars and horoscopes that detail how the arrangement of astronomical objects can predict personality traits and major life events. Space has also inspired numerous visions of the future. We’ve conjured up scenarios of interplanetary travel, alien communication, and even time travel via wormholes. The items on this list look like they have been taken from an old science fiction book. However, numerous scientists believe these objects could exist somewhere in the vastness of space. Here are the top ten hypothetical astronomical objects that could actually exist. 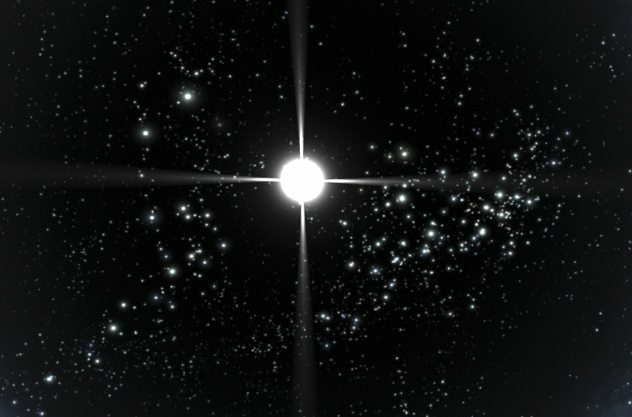 As the name suggests, this type of star is one that, in a way, comes back from the dead. We’ve all heard of a supernova being referred to as the “death” of a star. In most cases, supernovae do mark the end of stars’ lives, since, during those grand explosions, the star is completely obliterated. However, scientists at NASA now believe that a faint supernova could leave behind a surviving portion of the dying dwarf star. 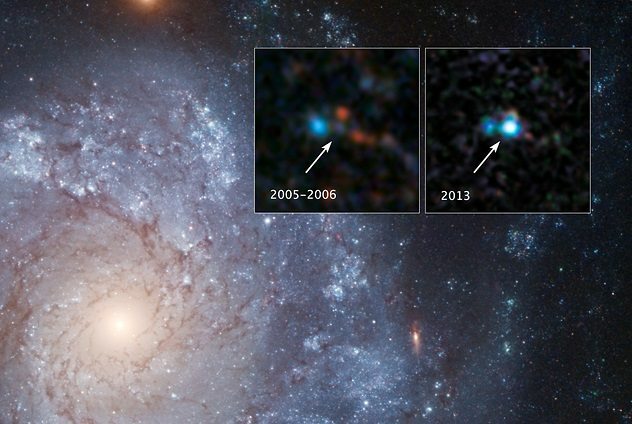 Astronomers first thought about the possibility of zombie stars when they observed a faint blue star feeding energy to its larger companion star. This process ignited a relatively small supernova, a Type Iax, which is low in brightness and does not spew out as much stellar mass as its cousin, the Type Ia supernova. So far, this is the only known way a white dwarf can explode. Typically, stars that explode at the end of their lifetimes are large, massive, and have very short life spans. White dwarfs, on the other hand, are cooler and tend to live longer, since they do not typically explode. Instead, they tend to expel their mass and create a planetary nebula. NASA scientists believe they have identified 30 of these Type Iax supernovae that leave behind a surviving white dwarf, but additional evidence is needed to safely say that they exist. White holes were theorized by scientists who were working with black holes. 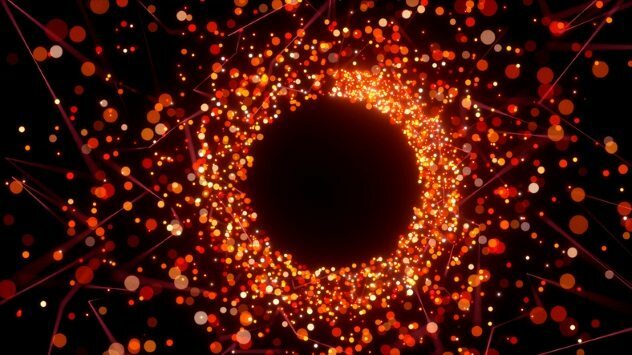 While they were working through the complex mathematics associated with black holes, they found that by assuming the singularity at the center of a black hole had no mass, or by assuming that there was no mass within the event horizon, a white hole could be created. 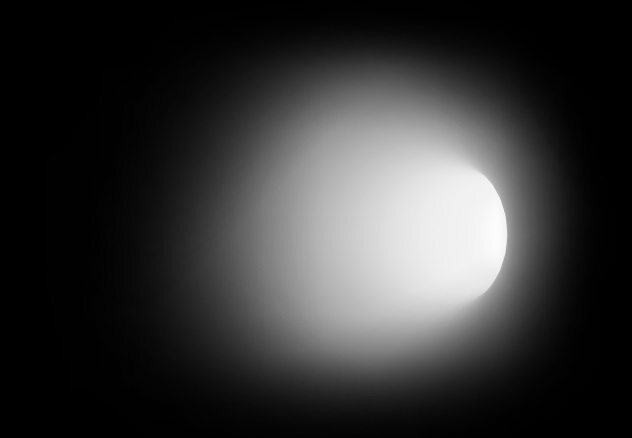 The math explains that if white holes are real, they would behave exactly unlike black holes. That is, instead of sucking up all the matter around them, they would eject matter into the universe. However, the math also states that white holes could only exist if there was absolutely no matter inside the event horizon, not even a tiny cookie crumb. In the instance one atom of matter enters the white hole’s event horizon, it would collapse and disappear, so even if these white holes existed in the beginning of our universe, their life spans would have been incredibly short, since our universe is filled with matter. The concept of a Dyson sphere was first introduced by Freeman Dyson, a physicist and astronomer who explored the idea through a thought experiment. He imagined a solar system–sized solar power collector. He believed a civilization could enclose its star in a cloud of satellite-type objects (or a “shell” or “ring of matter” in Dyson’s words) in order to beam 100 percent of the star’s radiation to a planet. Dyson created this thought experiment as a way to identify possible alien life in the universe. 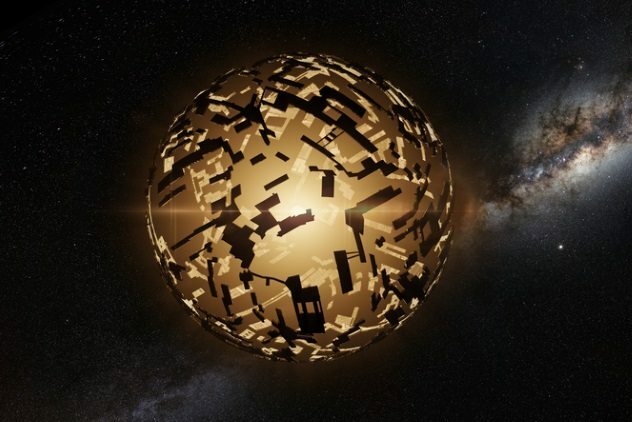 If we were to find a Dyson sphere, it could indicate the presence of a highly advanced alien civilization. Black dwarf—the name itself does not invoke sci-fi vibes as “zombie star” does. However, the concept behind a black dwarf is equally as interesting as all the other hypothetical objects on this list. So far, astronomers have found white dwarfs, brown dwarfs, and red dwarfs. However, black dwarfs have never been seen and are purely theoretical. Astronomers believe they could be formed from white dwarfs that have cooled for a sufficiently long time, to the point where their temperature matches the temperature of the Cosmic Microwave Background. The CMB is the radiation left over from the Big Bang that fills up the entire universe. It currently has an average temperature of 2.7 Kelvin. These black dwarfs are thought to be invisible, since their temperature is so low and they have no internal source of energy. Theoretically, if a 5-Kelvin white dwarf was to turn into a black dwarf, it would take 1015 years. Therefore, the universe is still too young to have created any black dwarfs! Quark stars, also called strange stars, are thought to be composed of a soup of quarks—the fundamental constituents of matter. Astronomers believe that these stars can be created after a medium-sized star (about 1.44 times the size of our Sun) has run out of fuel and has entered the collapsing stage of its lifetime. As it collapses, it squeezes protons and electrons together, eventually forming neutrons. However, scientists think that if the star is heavy enough and continues collapsing after this stage, the neutrons that were created could break down into their component quarks under the immense pressure, creating an incredibly dense type of matter. A paper published in 2012 delves into the hypothetical nature of these strange quark stars. The authors of the paper explain that these stars could be enveloped in a thin nuclear “crust,” consisting of heavy ions immersed in an electron gas. However, they could also exist without the crust. In that case, the quark stars would possess ultra-high electric fields that could reach up to 1019 Volts per centimeter! As the name suggests, ocean planets, or water worlds, are thought to be composed entirely of vast, uninterrupted oceans. The idea of water worlds became popular when NASA announced the existence of two planets outside of our solar system: Kepler-62e and Kepler-62f. 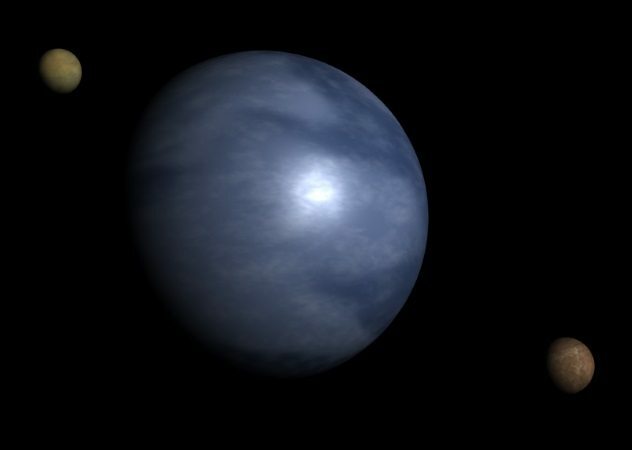 These planets are thought to be water worlds that could harbor a wealth of aquatic life. A paper published in June 2004 explains how these types of planets could be formed. It is believed that they form relatively far away from their parent star and slowly migrate toward it (over a time period of about a million years). 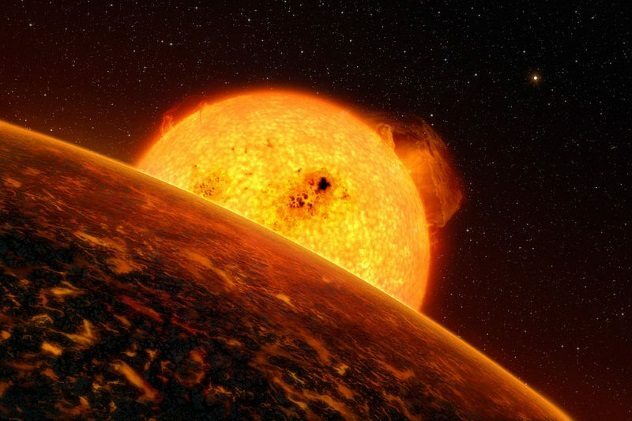 The planet would have to come five to ten times closer to the star, depending on how far away it initially formed. The paper delves into the internal structure of the planets as well as how deep their oceans could be and what their atmospheres could be composed of. Interesting read! The idea of Chthonian planets became popular thanks to an extrasolar planet nicknamed Osiris. NASA scientists were baffled when they detected carbon and oxygen for the first time in an atmosphere outside of our solar system. However, Osiris’s atmosphere was seen to be rapidly evaporating. Scientists have designated a new class of worlds called Chthonian planets, which are created when gas giants, like Jupiter, enter a critical distance from their parent star. When they get too close, their outer layers begin to rapidly evaporate. Chthonian planets are thus the remnants of these gas giants, which have been stripped of their outer layers, leaving behind a dense central core. A preon star is something that could follow a quark star. As a star is compressed to the point where it becomes a quark star and is still massive enough to continue its collapse, scientists believe that the quarks themselves could break down into these theoretical preons. So far, scientists have not found a way to break down quarks, so they remain the main constituents of matter. However, if quarks are made of other individual particles—these so-called preons—stars could technically achieve this even denser state, one of matter created entirely of a soup of hyper-dense preons. Ghost galaxies, also called dark galaxies, are galaxies that have very few stars. They’re so inefficient at making stars that they’re thought to be mostly composed of gas and dust, making them basically invisible. As of now, they remain theoretical for this very fact, but astronomers believe that dark galaxies are likely to exist. 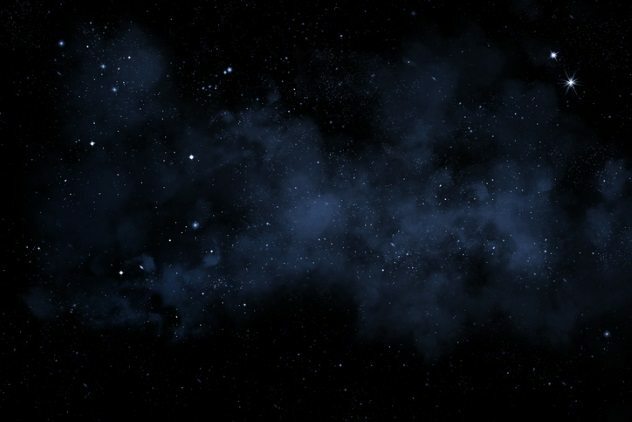 An international team of scientists even thinks they have found the first dark galaxy. However, more data analysis needs to be done before it is confirmed. 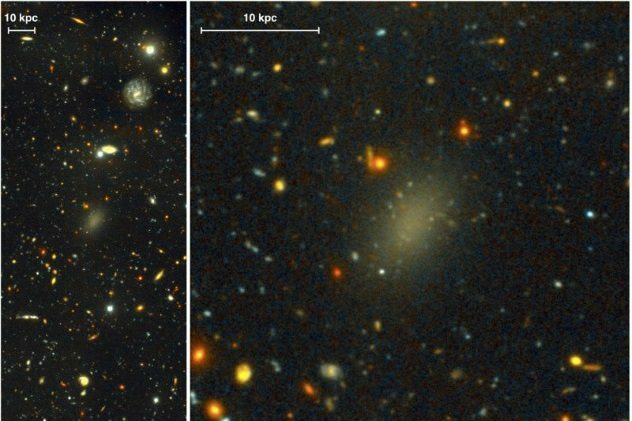 Astronomers believe they have also found a different type of ghost galaxy, one that is 99 percent dark matter. They named it Dragonfly 44, and it seems to be the Milky Way’s dark doppelganger in mass, but it contains very few stars and is different in its structure. 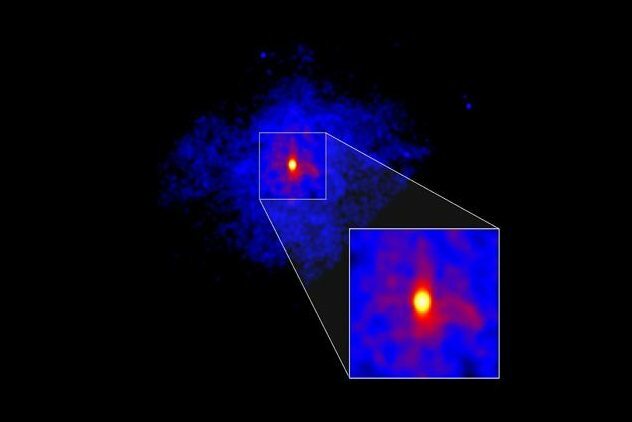 If this galaxy is ever observed or analyzed in enough detail, it could change how astronomers perceive galaxy formation and dark matter. Cosmic strings are an insane idea, but the craziest part about them is that they could actually exist. Cosmic strings are slight defects in the fabric of space and time that were created at the beginning of time, left over from the formation of the universe. If one were to interact with one of these defects, one could create a “closed time-like curve,” which would allow for backward time travel. Scientists have speculated how they can make time machines out of these cosmic strings. They believe that by putting two of them close enough together, or one string and one black hole, they could create an array of these closed time-like curves. To better visualize this, picture the cosmic strings as loops of space-time. Imagine picking up one loop and throwing it across space directly toward another loop. Then, imagine jumping on a space ship and flying around them in a perfect figure eight. This would allow you to emerge at any random point in space and time! Although these objects are purely theoretical, astronomers believe that, if they exist, they would be very small “lines” in the fabric of space, and their effects would be incredibly strange. It is also believed that their existence could explain bizarre effects observed in faraway galaxies. I’m a physics student at the University of Pennsylvania. Read more about what we could find among the stars on 10 Hypothetical Forms Of Life and 10 Hypothetical Planets Proposed By Scientists.